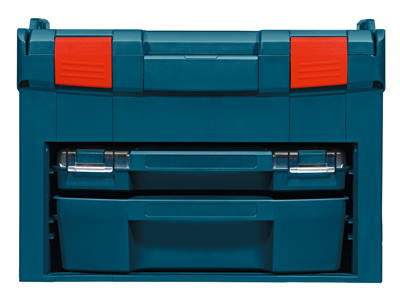 The Bosch Click & Go® storage system is designed to help you stay organized and get your tools on and off the jobsite faster, so you can spend less time setting up and more time being productive. It's the ultimate in customized organization and efficiency. Organize over 90,000 nuts and bolts and house over 100 types of power tools. The Click and GO storage system featuring the L-Boxx is available in 5 sizes and fully customizable with foam, plastic inserts, drawers and exact-fit insert trays sold separately. Every L-Boxx quickly fits together with just 1-click stacking. The L-RACK allows you to expand your current system with instant organization capability for even more versatility. The L-RACK's customizable expansion options for the Click and GO System utilizes I-BOXX trays and drawers and adds the convenience of providing an extra storage shelf to any L-Boxx(1, 2, 3, 3D, or 4). 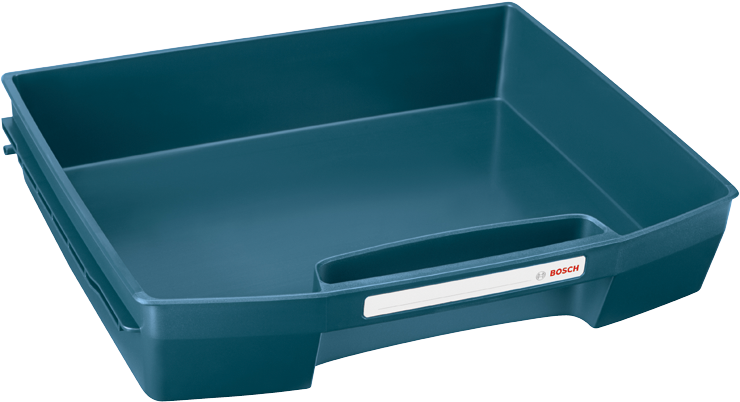 The Bosch LST72-OD was designed for use with the Bosch L-RACK Click and GO storage system, this LST72-OD drawer features an open top and roomy interior for storing and transporting a variety of accessories, bolts, screws and other small parts. For added convenience, the drawer provides an integrated handle for comfortable transport.